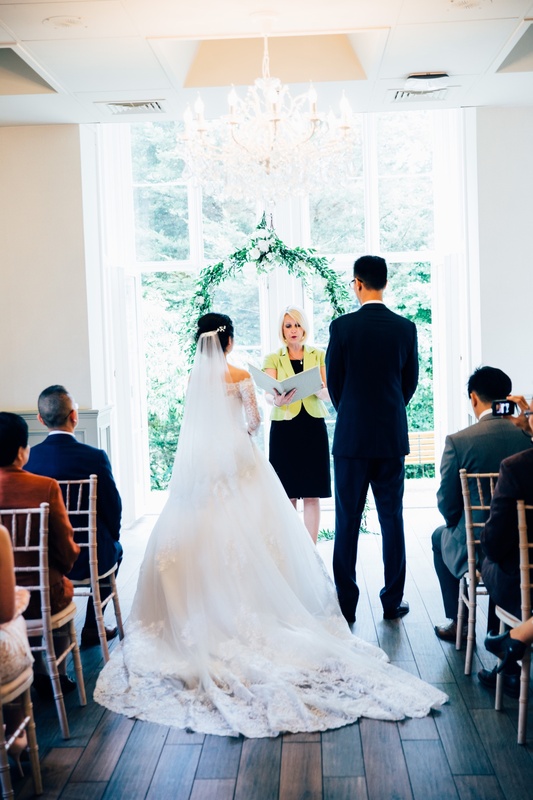 Linda & Victor’s wedding at Bryngarw House. 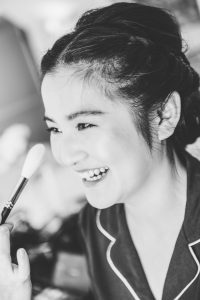 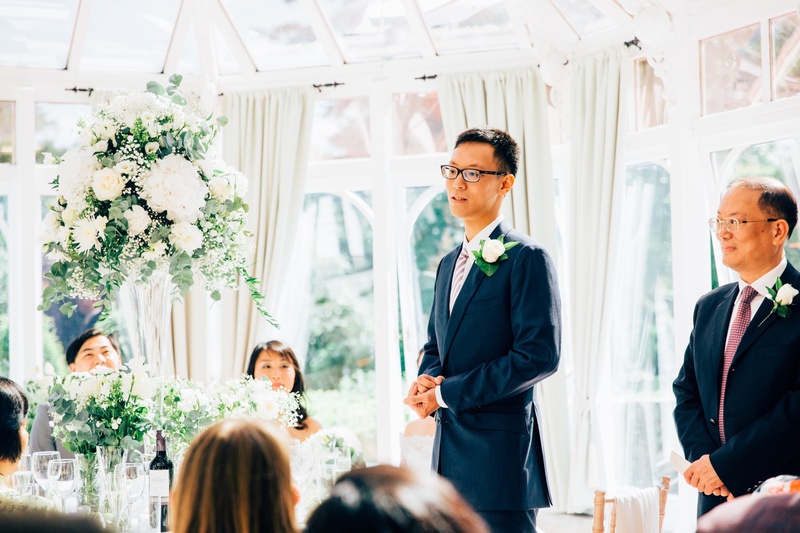 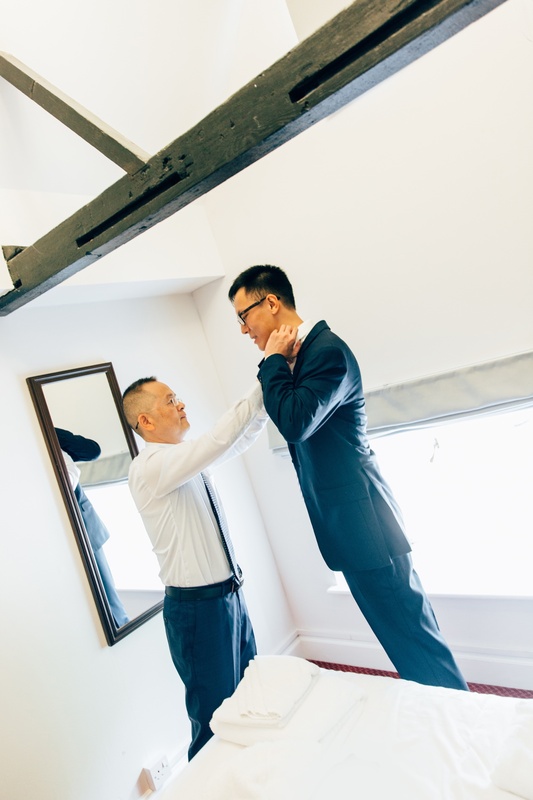 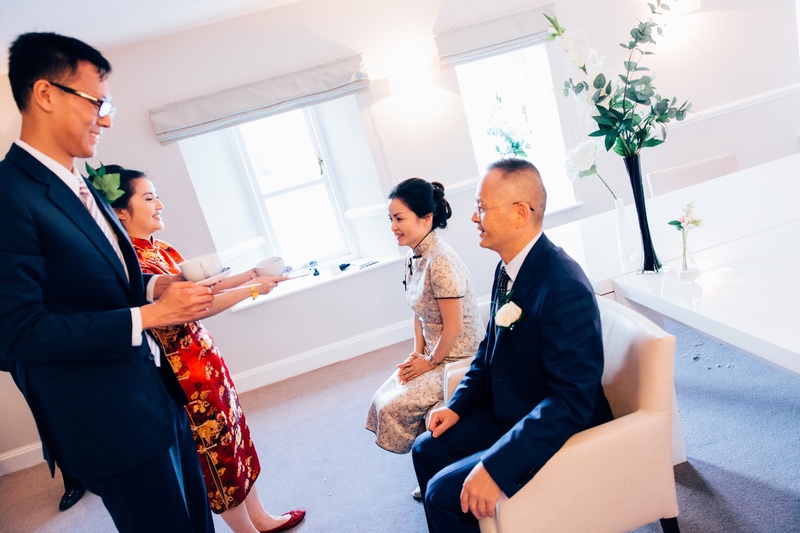 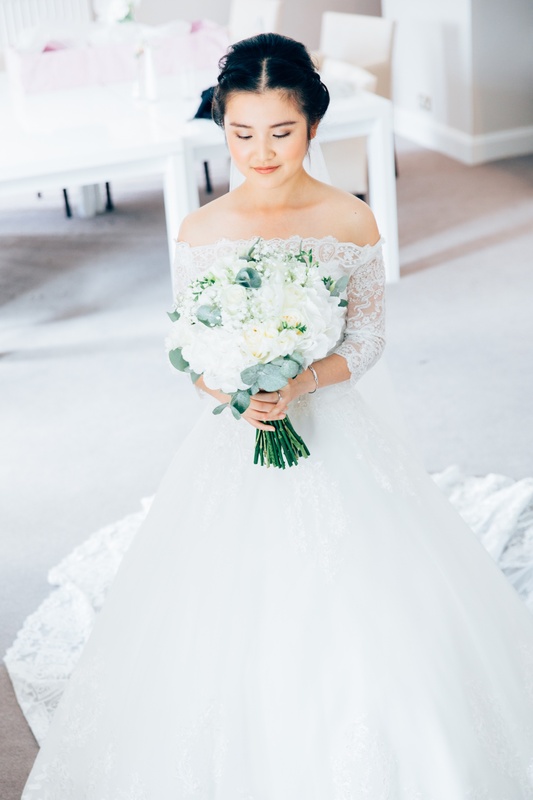 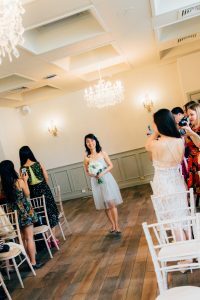 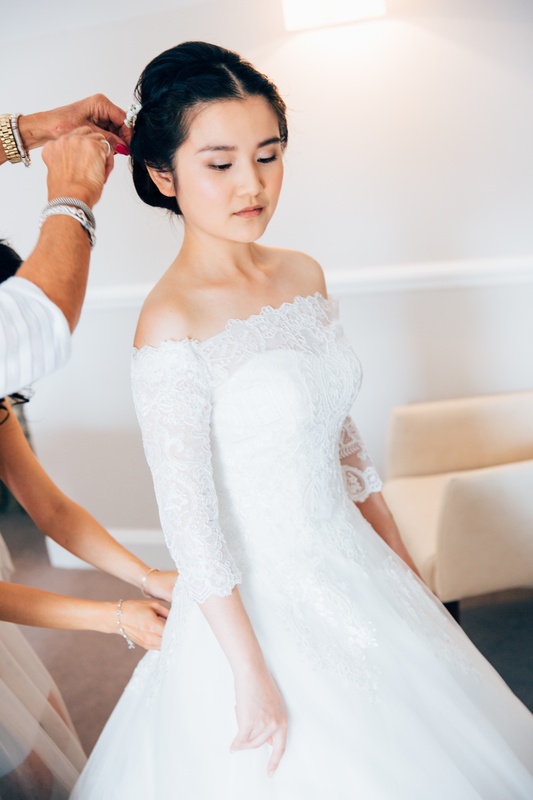 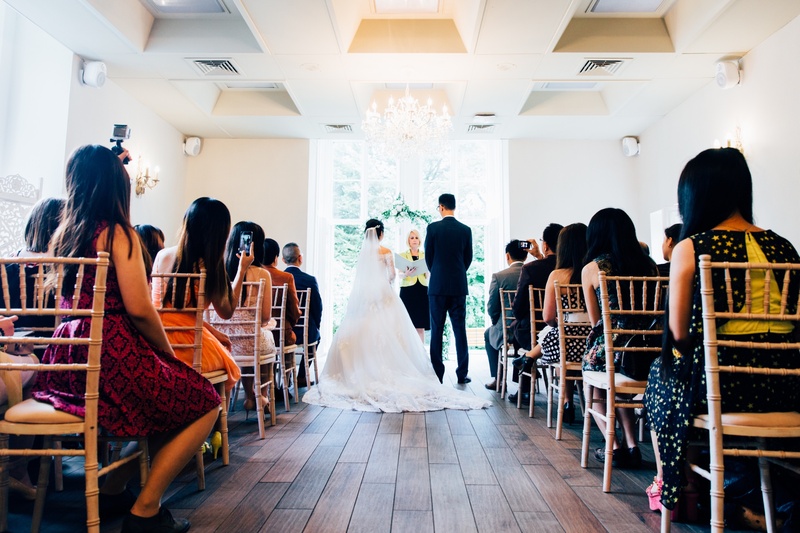 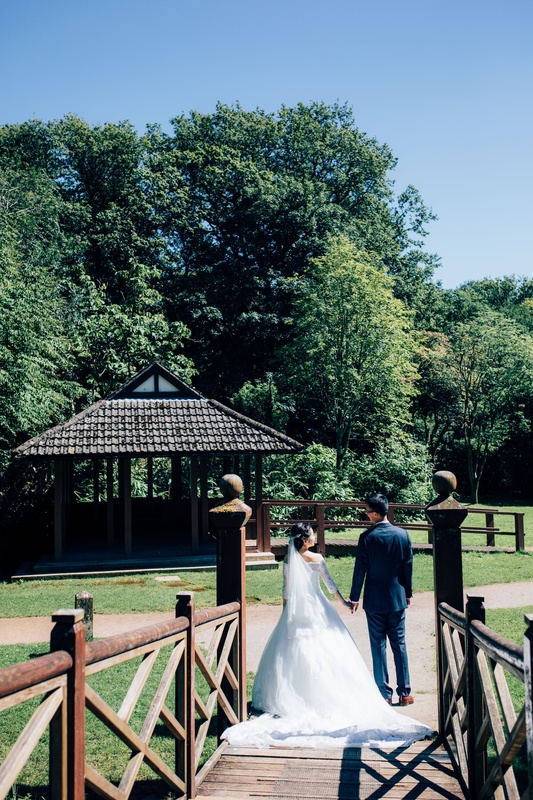 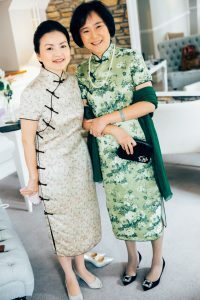 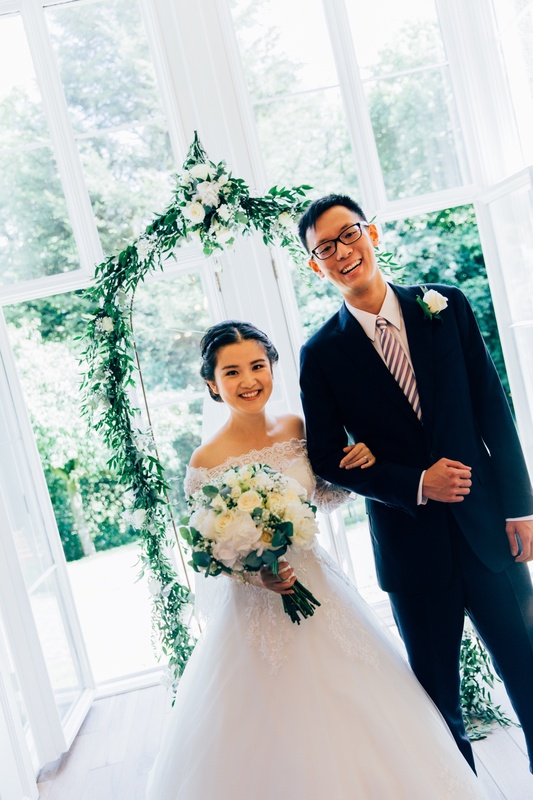 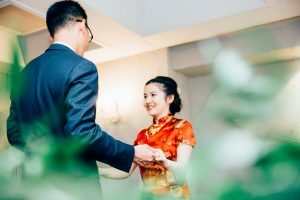 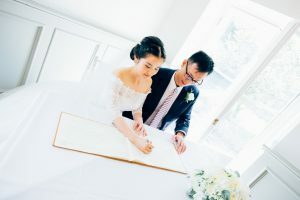 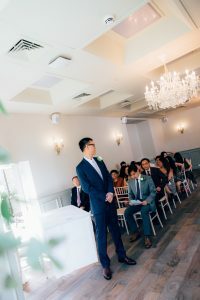 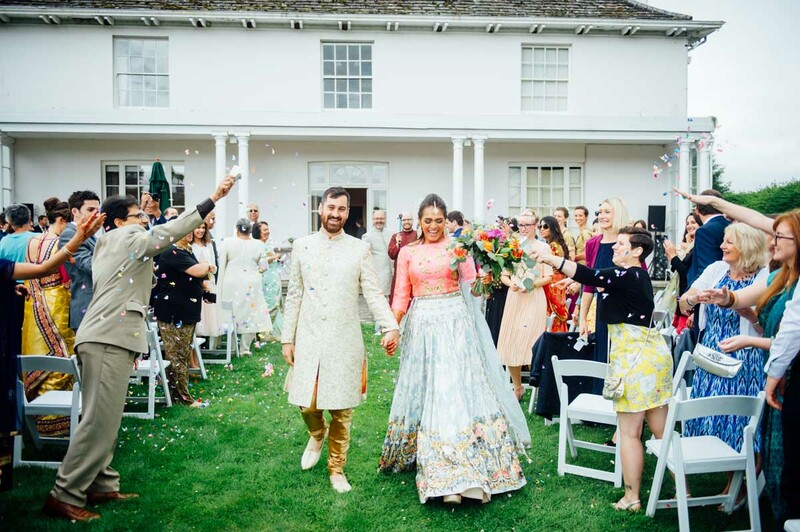 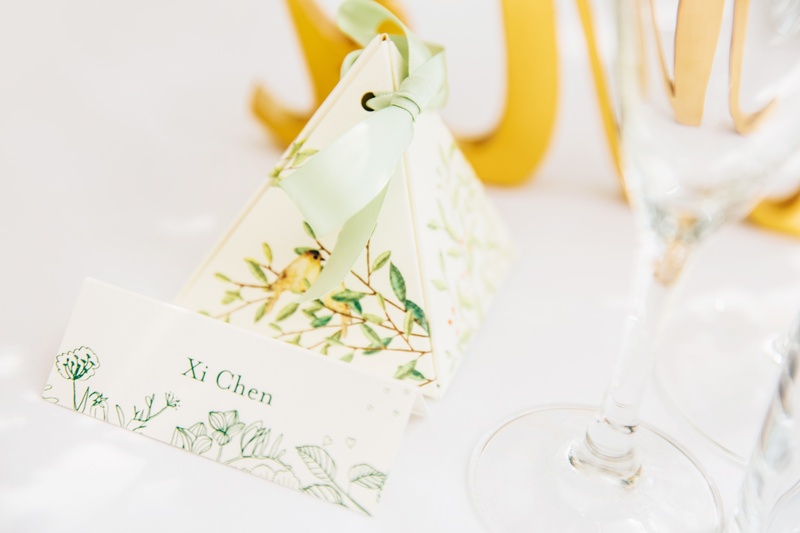 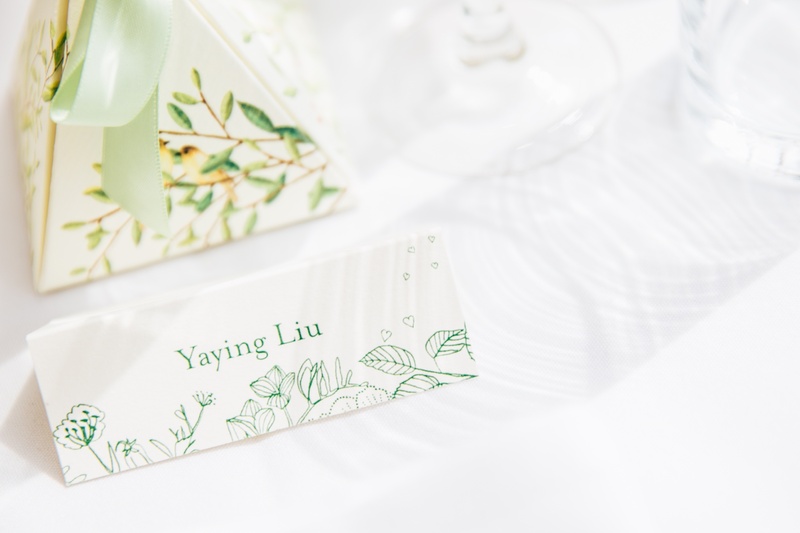 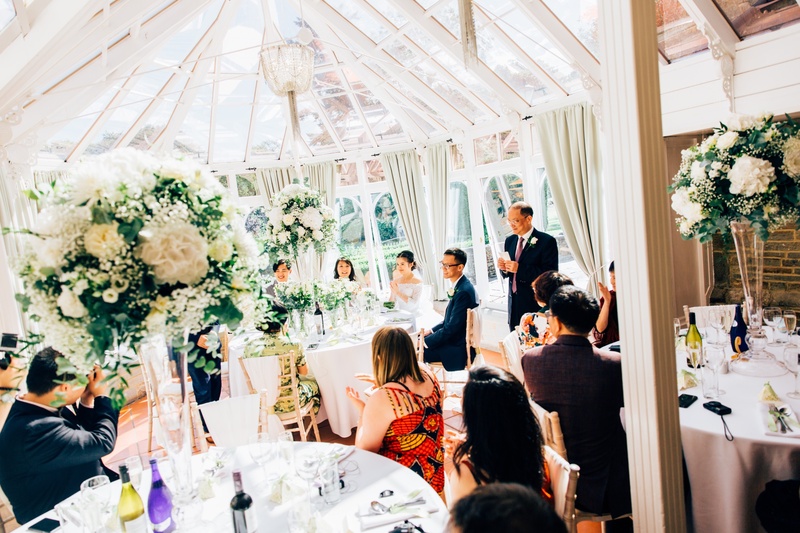 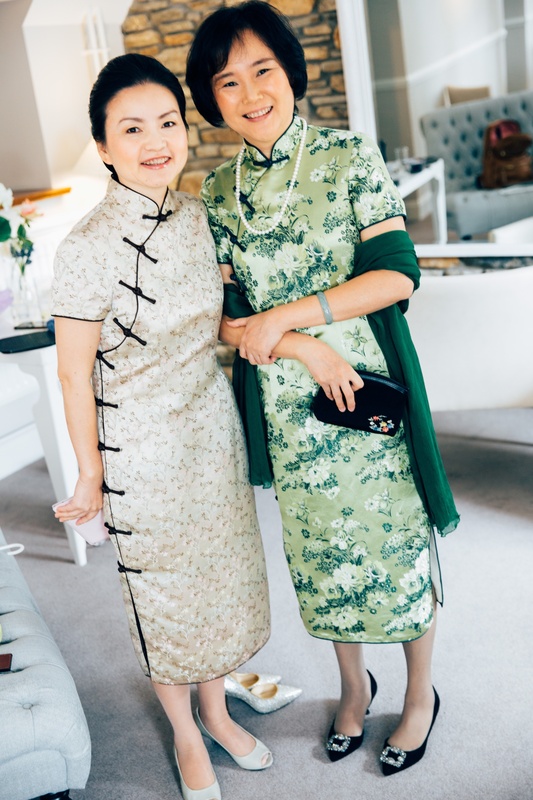 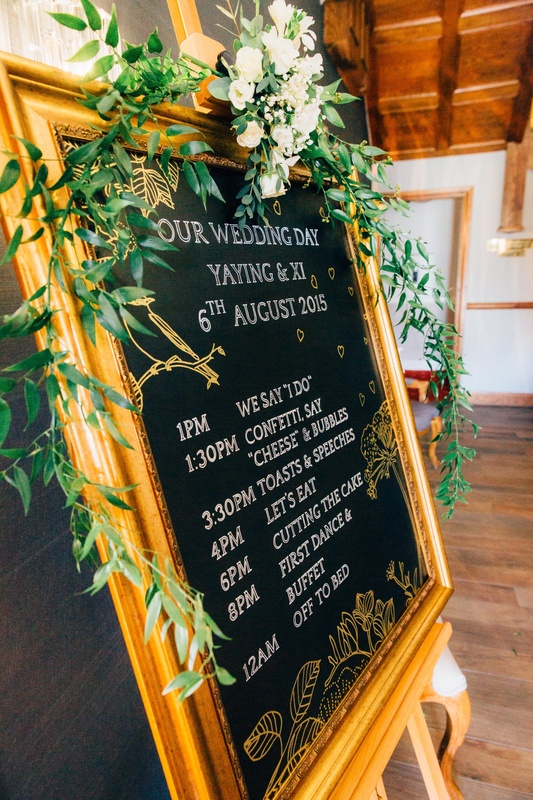 A whimsical and intimate wedding at Bryngarw House, S. Wales where Linda and Victor married in a western civil ceremony while honouring their Chinese heritage and traditions. 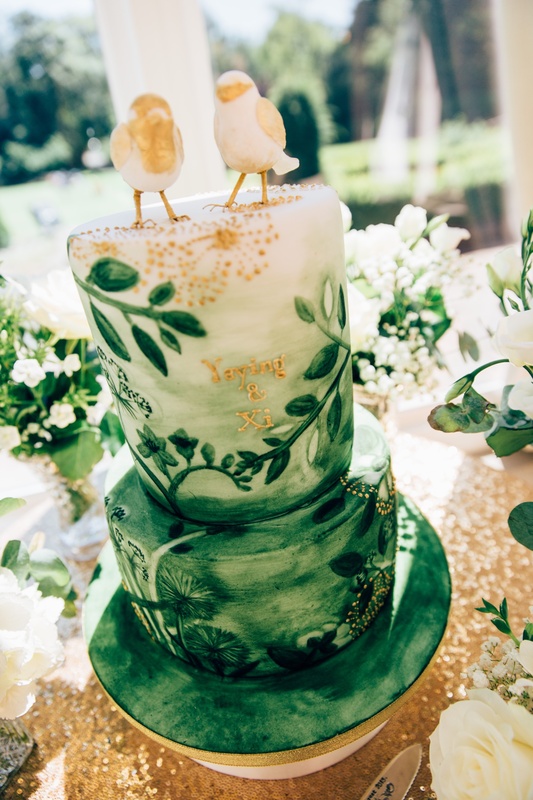 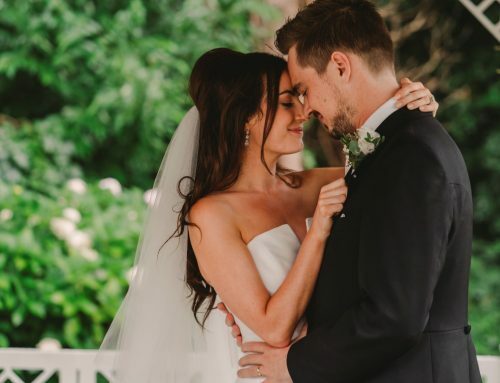 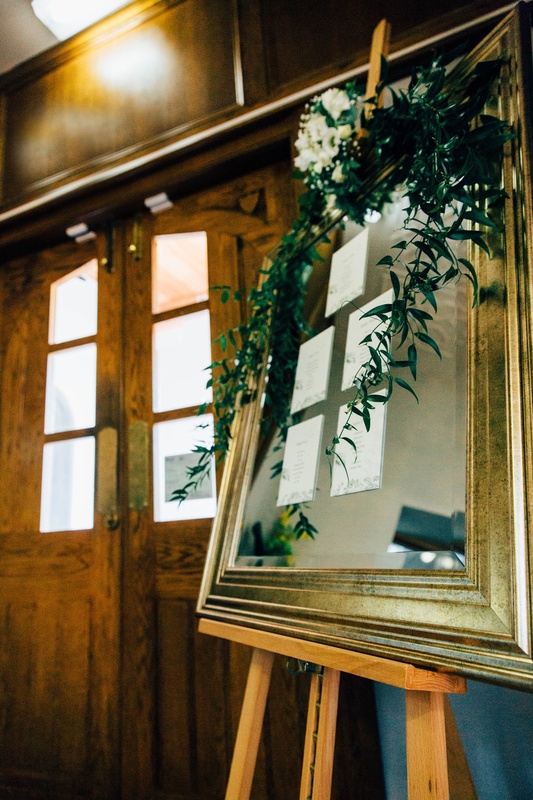 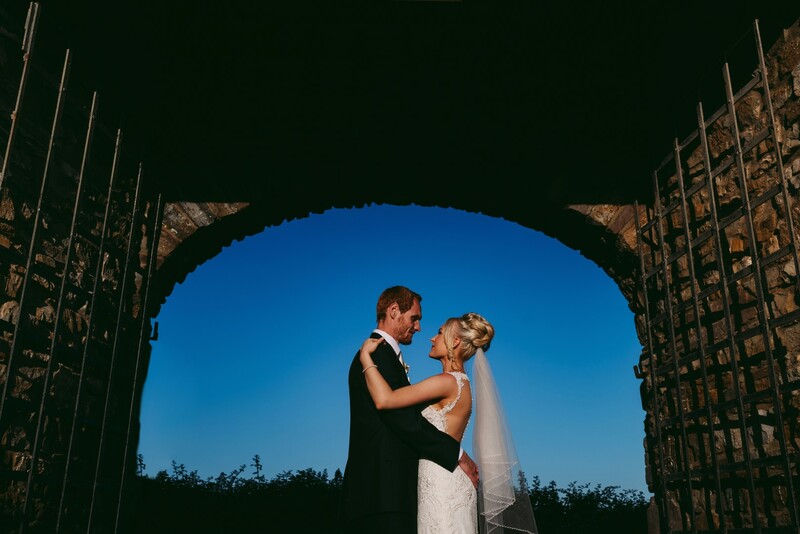 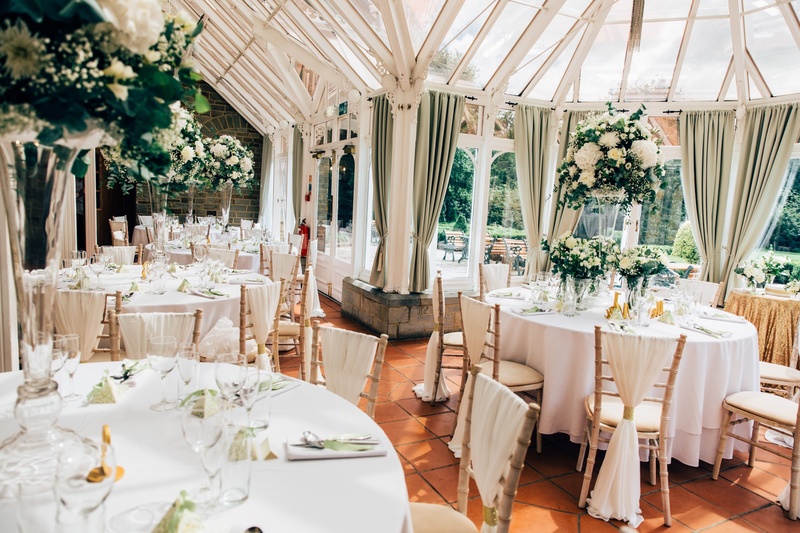 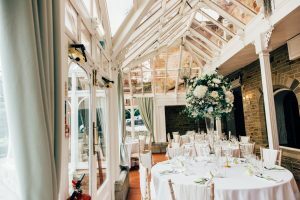 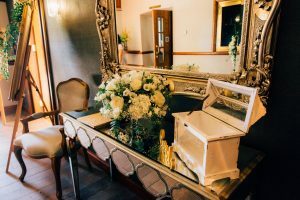 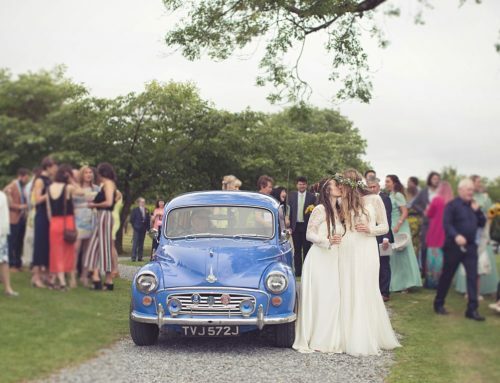 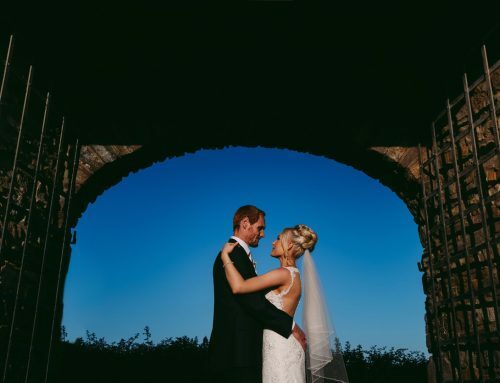 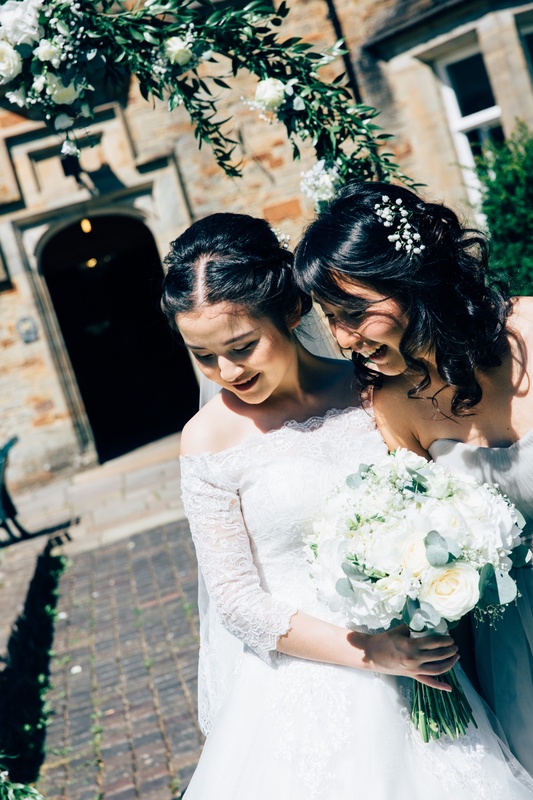 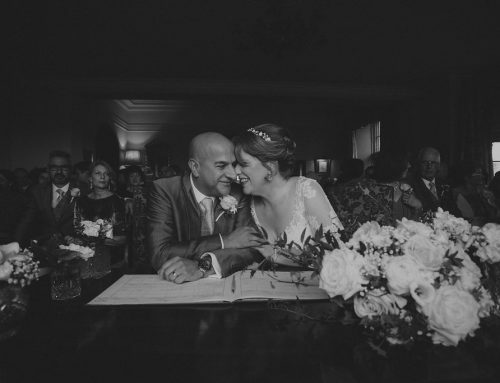 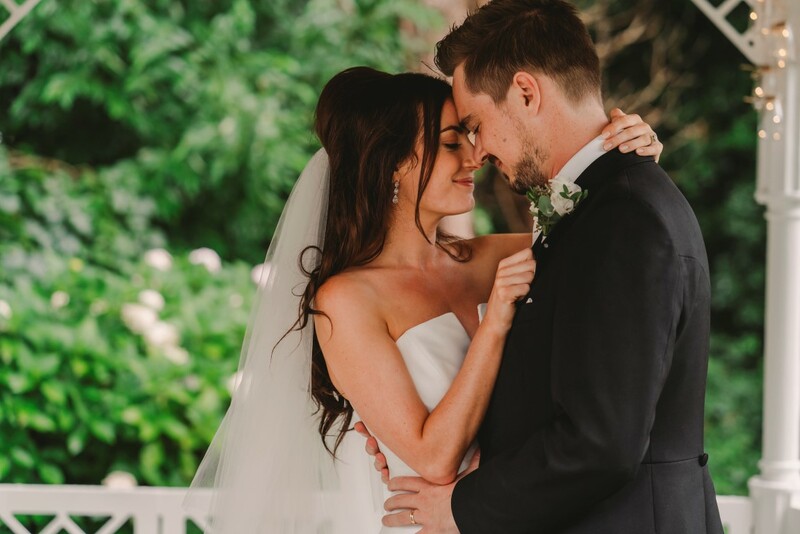 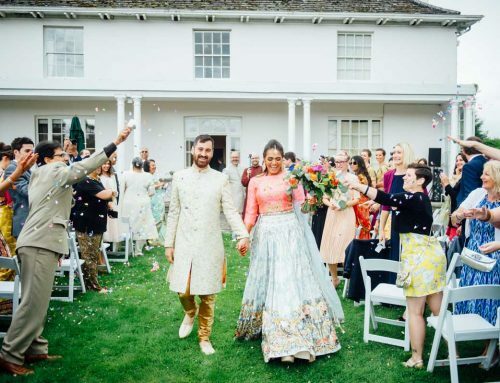 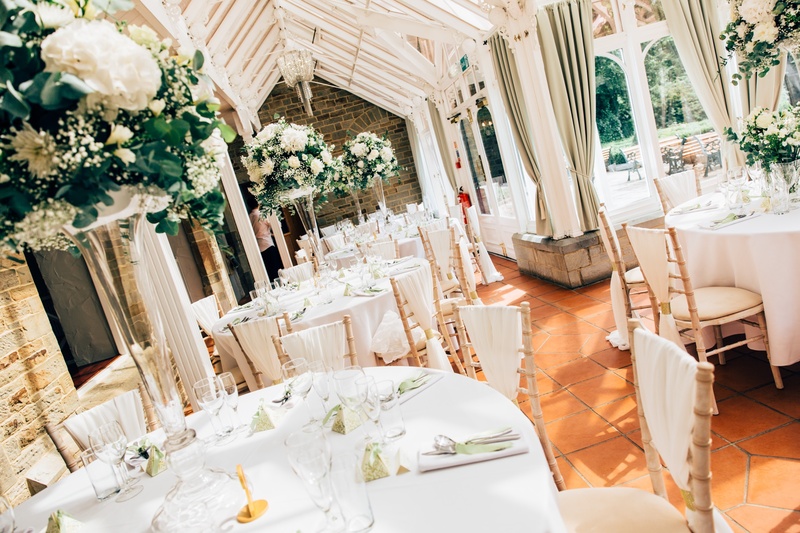 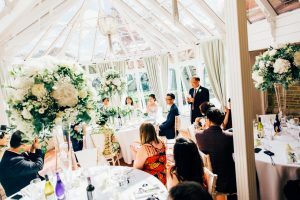 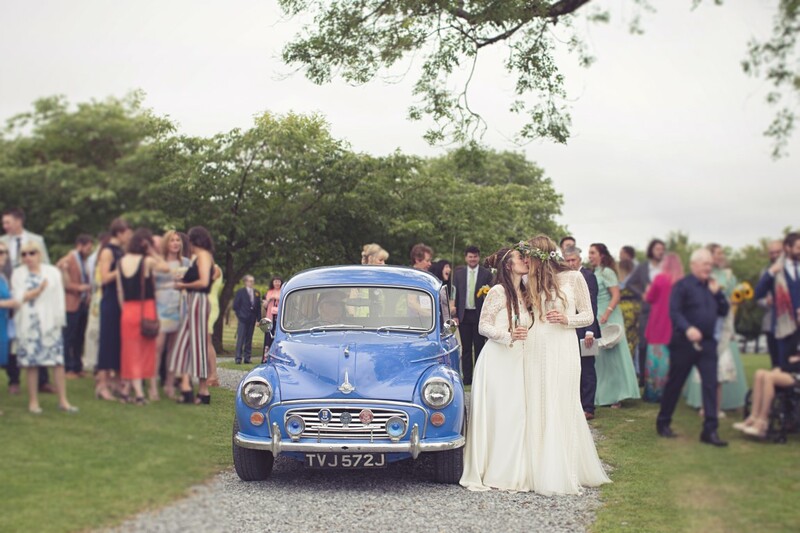 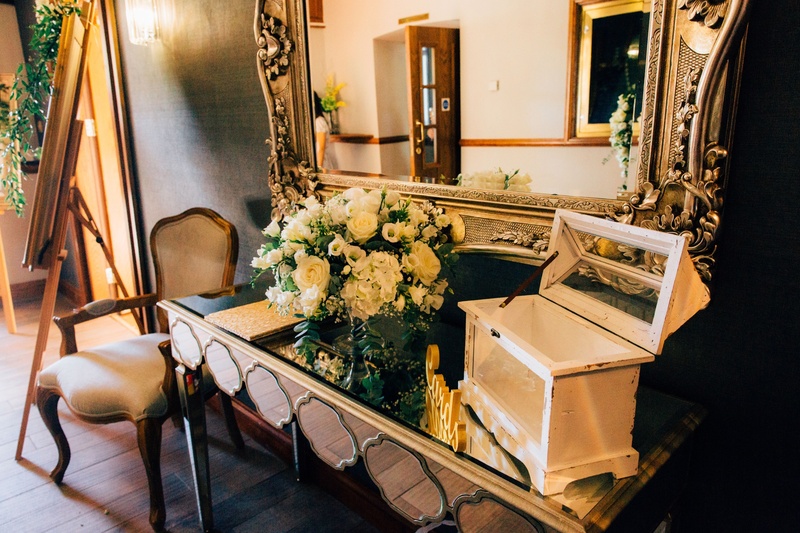 Beautiful gardens, the feeling of being outdoors and exclusive use was really important to this elegant couple and Eleanor Gail found the perfect wedding venue in Bryngarw, Bridgend. 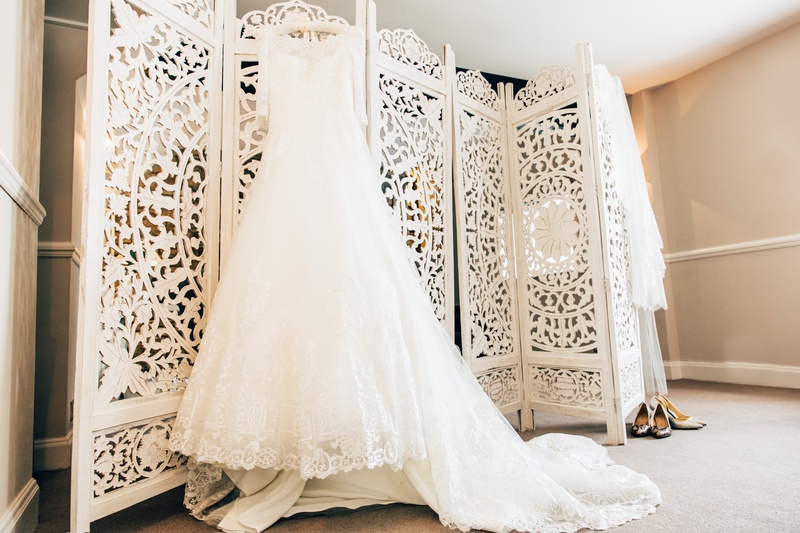 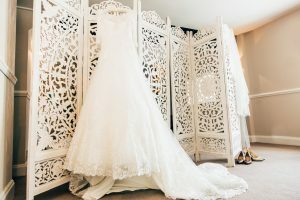 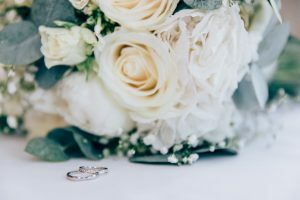 They said “I Do” under a floral arch in front of floor to ceiling windows in an emotional ceremony, surrounded by their closest family and friends. 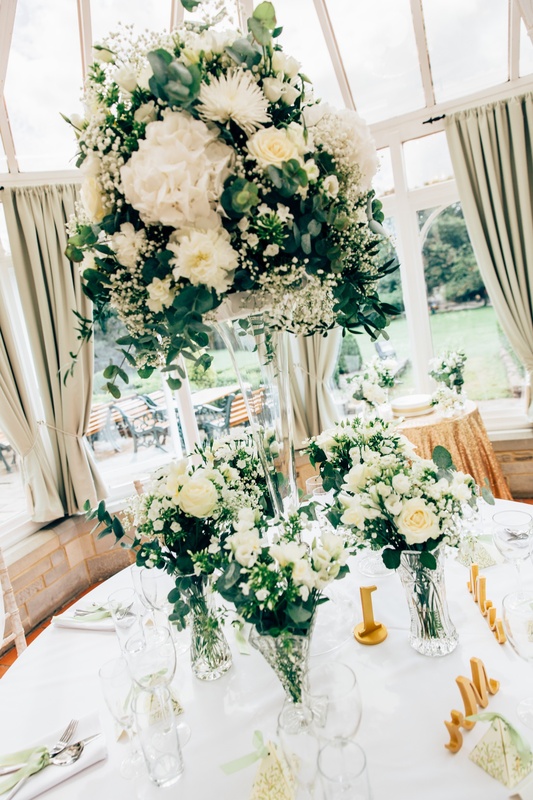 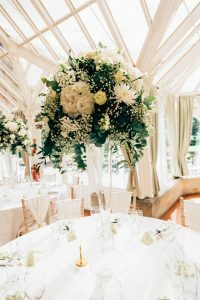 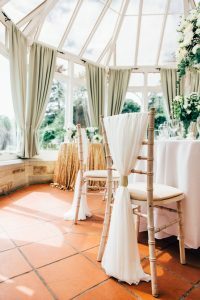 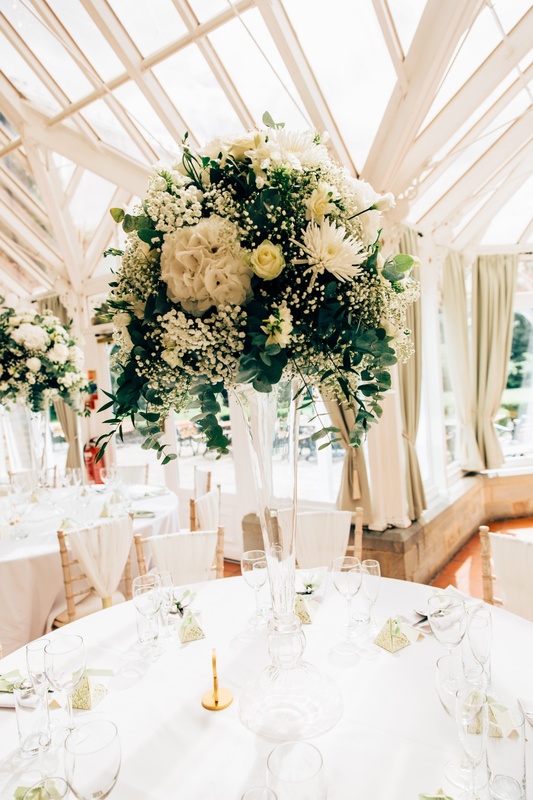 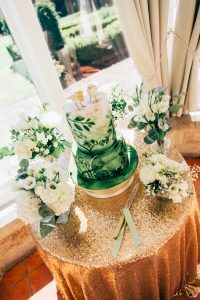 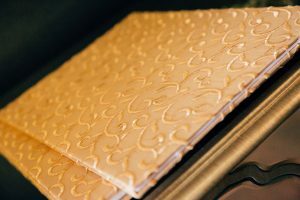 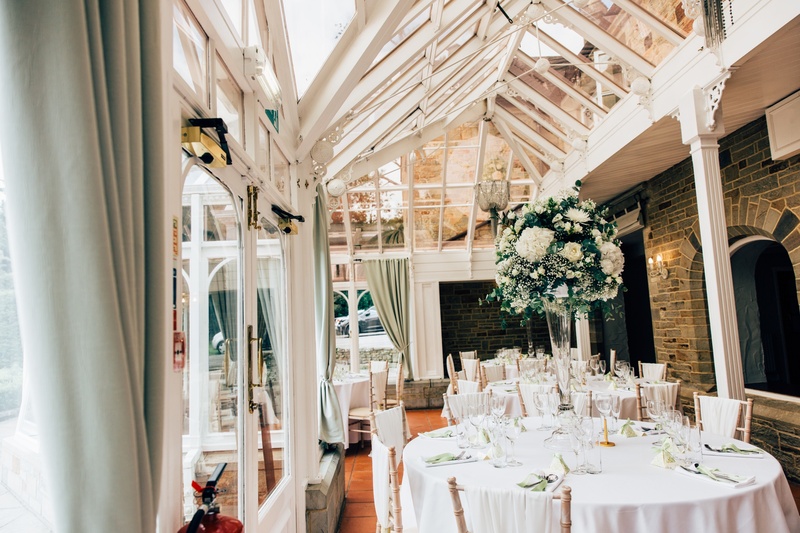 White, soft greens complimented the ‘orangery’ feel while champagne gold ensured there was plenty of glamour. The bride wore a stunning off-shoulder, long sleeved lace gown with a train and the groom wore a hand-made navy Cad & The Dandy suit. 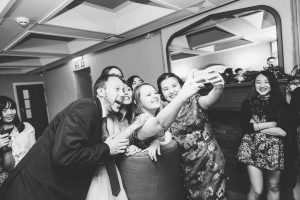 The photographs are by kind permission of the Bride and Groom and we’re chuffed to pieces they allowed us to share them with you. 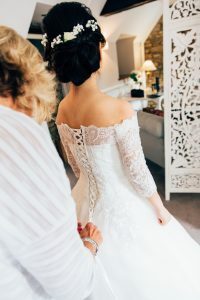 “Thanks for everything, Gail. 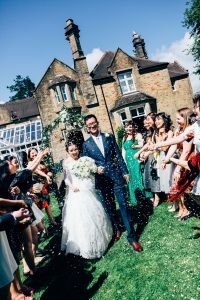 We had an amazing wedding day that we can remember forever. 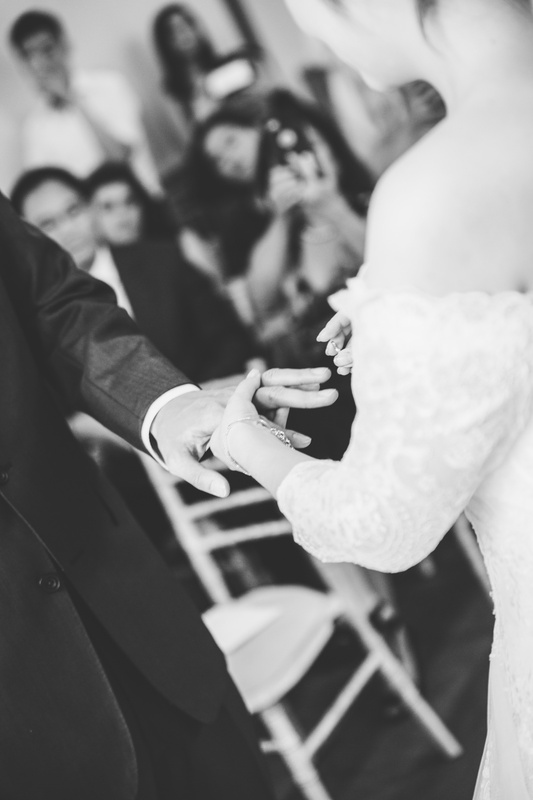 ” Linda & Victor Chen.x. 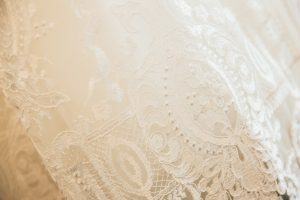 All elements were hired from or sourced by Eleanor Gail. 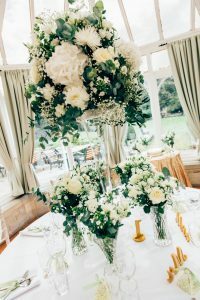 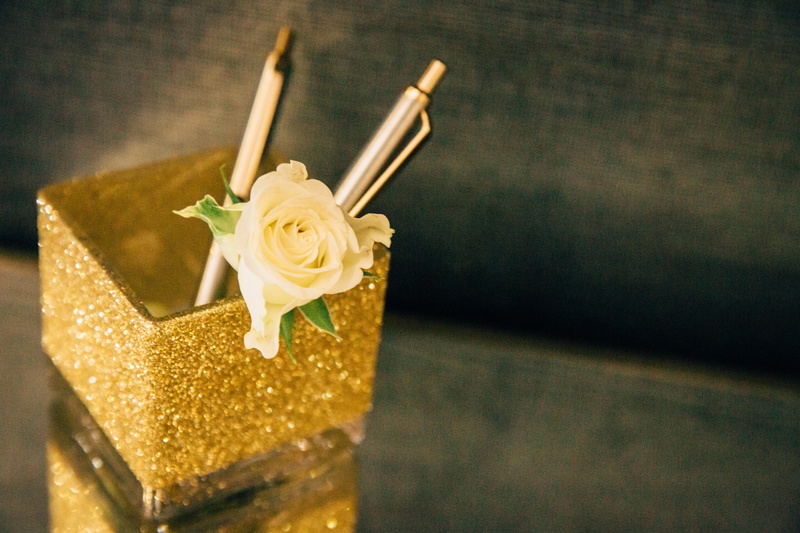 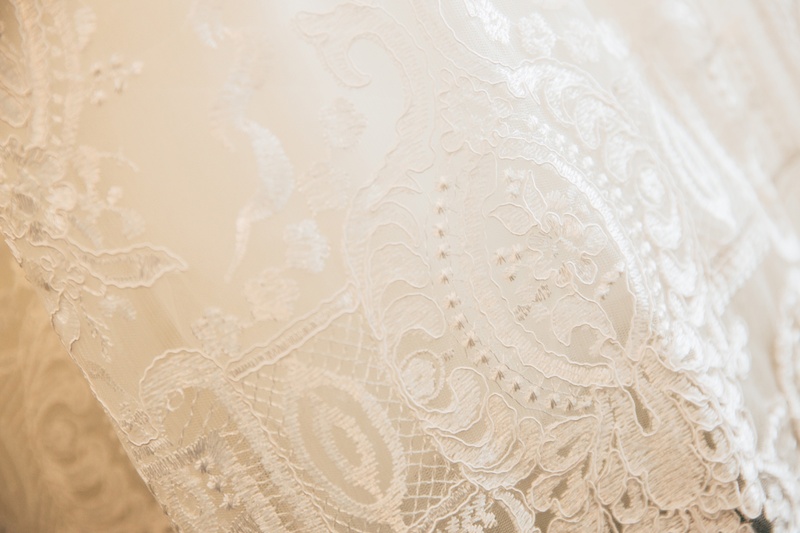 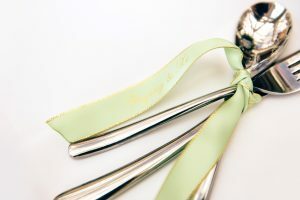 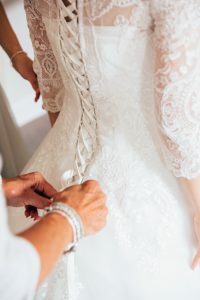 If you would like help with any aspect of wedding planning and design or on the day support please contact Gail at gail@eleanorgail.co.uk or simply call on 0787 655 1592. Look forward to hearing from you soon.x. 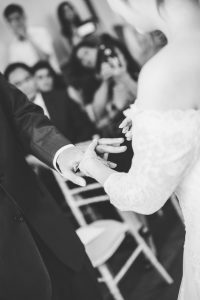 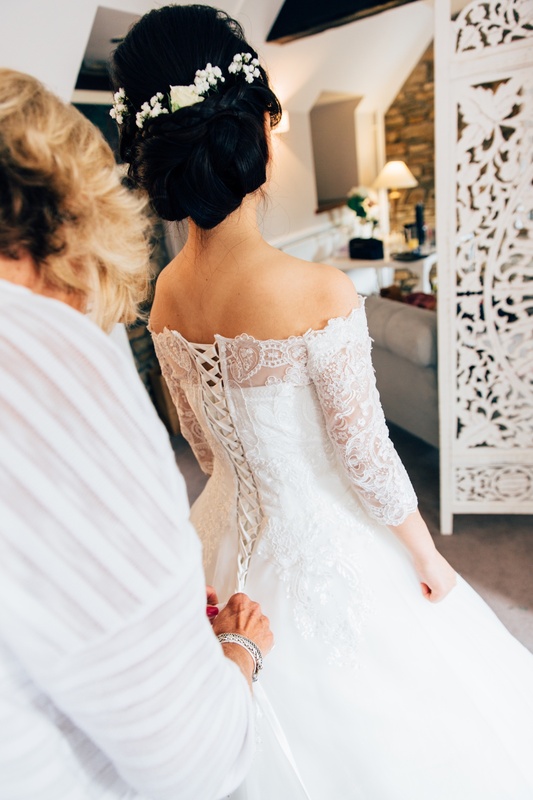 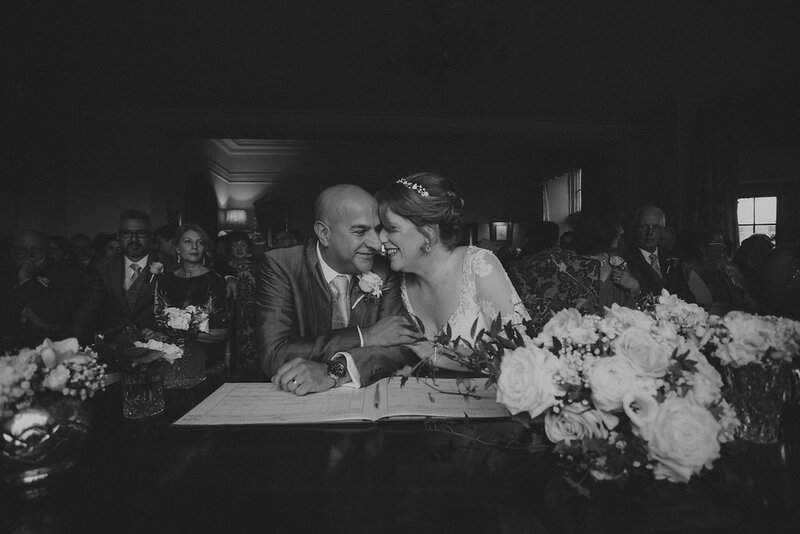 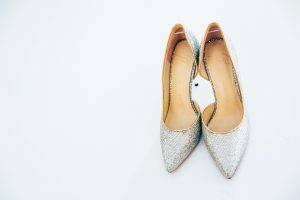 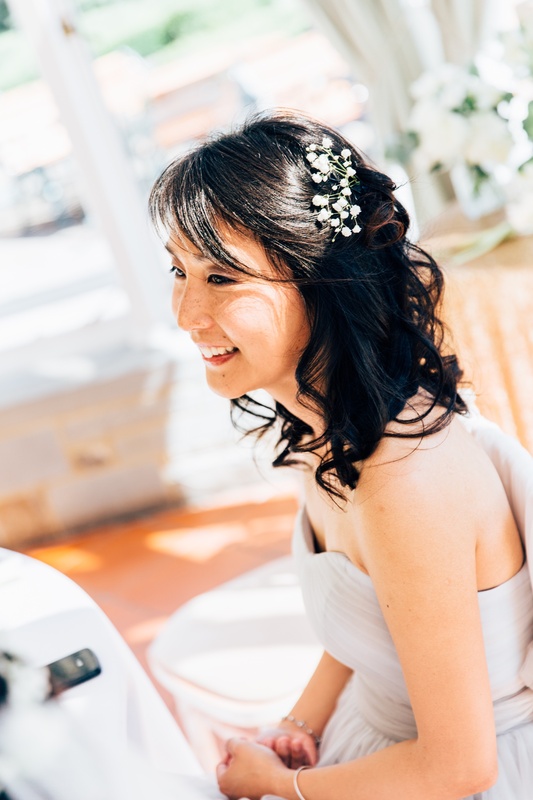 Gail2019-01-09T12:33:49+01:00October 21st, 2015|wedding planner|Comments Off on Linda & Victor’s wedding at Bryngarw House.